Cossutti Yacht Design studio by Maurizio Cossutti and Alessandro Ganz was born in 2008 when Maurizio decided to start his own design activity, after leaving 2M Marine. In 2009 Alessandro joined the studio to then becoming a partner in 2013. 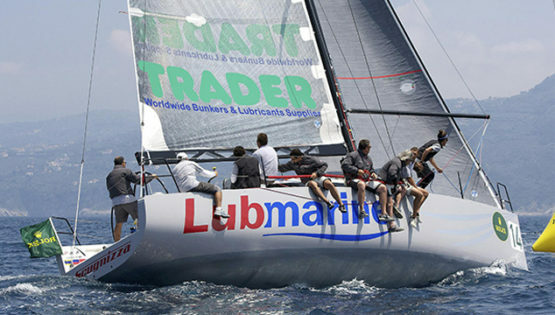 Maurizio Cossutti, one of the most representing Italian yacht designer, born in Udine, graduated in 1986 in Naval Engineering from the University of Trieste, with an experimental thesis on the Americas Cup boats, including tank tests of models using winged keels, and various simulations. In the same year he entered the Starkel Studio in Trieste, later becoming a partner, taking care of the design of several cruising and competition boats. Leaving the studio, he began designing on his own, developing both new boats and carrying out modiﬁcations to existing ones. In 2003, with Alessandro Vismara and Freek Koppelmans, he created the “Marine Technologies Boatyard” at Villesse, near Gorizia, where cruise and racing boats were designed and built in composite materials. In the years 2003-2005 several Cossutti-Vismara custom-built boats (V34, V40, V46) were constructed. In 2005, the Friulian entrepreneur Massimo Breggion entered the company as a shareholder after buying out the shares of Vismara and Koppelmans, and the name of the boatyard became “2M Marine” where the new M-series boats were designed and built, and of which M37 was the ﬁrst model. In 2008 Maurizio Cossutti left the boatyard to start his own studio and found Cossutti Yacht Design. The first projects of the studio were the NM43 and the NM38, designed for the boatyard Nautilus of Rome, in addition to Bonin 31 and 358 IRC. At the same time, the studio continued to follow various teams and owners in the optimization of appendages and sail plans for various boats, mainly engaged in the ORC and IRC circuits. Since the beginning there have been numerous collaborations at various levels with boat owners and top teams, as for example, the optimizations on Brava and Mascalzone Latino. Meanwhile, Alessandro Ganz joined the studio. Born in Valdobbiadene, Alessandro is a naval engineer graduated in 2008 from the University of Trieste and with a MSc Maritime Engineering Sciences master degree in Yacht and Small Craft at the University of Southampton, got with an experimental dissertation about optimization of the underwater hull shape of a cruising motor catamaran, including a series of towing tank tests. Alessandro started collaborating with Cossutti Yacht Design in 2009 working on the NM38 and in the following years actively participated in the development of most important projects for the company. In 2013 he joined the studio as a partner and the name became “Cossutti Yacht Design – Cossutti & Ganz Partners”. In the same period began the professional partnership with the venetian boatyard Italia Yachts, with the project of the first boat of the boatyard, the Italia 10.98 and then also the model Italia 13.98 which won the prestigious “European Yacht of the Year” award in 2013. In 2015 and 2016 the two one-offs ORC Next 37 and Katariina II were launched in Italy and in Estonia, followed by the project of the new one-off currently under construction at the boatyard Ridas Yachts in Tallin. Partnerships with important boatyards increasingly became the core business of the studio, which in addition to continuing the collaboration with Italia Yachts, completed new projects for Salona, More Boats (More 55 and More 40) and then for the German boatyard Bavaria Yachtbau. In 2017 there was the presentation of the Bavaria C57, the first boat designed by Cossutti Yacht Design for the German boatyard, which chose the studio to design its flagship. Unanimous good reviews from critical, insiders and public led the boatyard to order to the studio the project of two others fast-cruiser, the C45 and the C50, presented at BOOT in Dusseldorf in January 2018. All the challenges overcome in the last few years, first of all the portfolio expansion with cruiser projects as well as the several partnerships with major international boatyards, confirmed Cossutti Yacht Design as one of the world most interesting and appreciated design studio of the last 20 years both for racing and cruising yachts.